Standing rigging was replaced in 2006 and fully checked and serviced in 2016. Much running rigging replaced in 2017. Many lights converted to LEDS. The Horizon 273 was the last model in the popular Horizon 27 range of bilge keeled cruising yachts. They can sleep six but would be more realistically suited to a cruising couple with children or for weekending for four adults. Easily handled by one or two competant sailors they are a well designed yacht with a good turn of speed for their size and pleasant light and airy accomodation. This boat has been maintained to a good standard throughout and has been mostly sailed short/single handed by the current owner. The boat has benefitted form various recents upgrades including new engine, shaft and propellor in 2016, New sea tolilet in 2016, much rewiring in 2017, some new navigation equipment in 2015/2016. 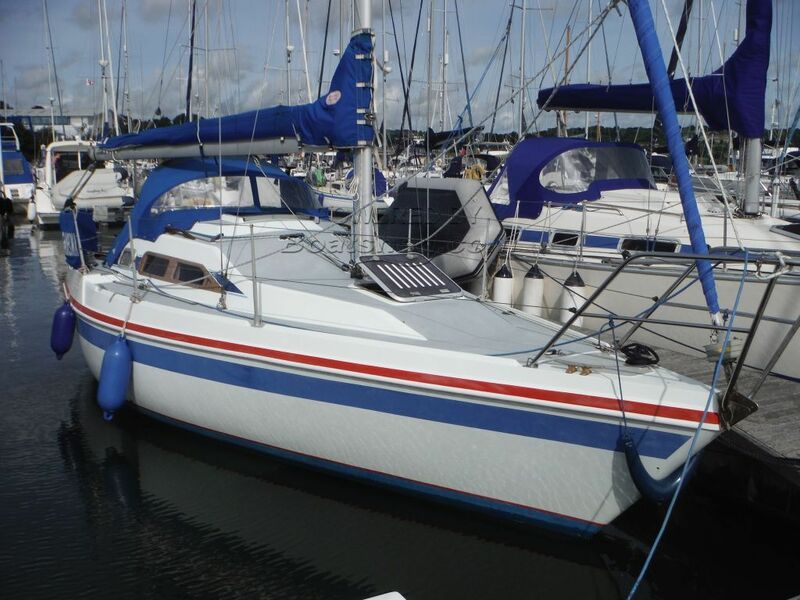 Overall a nice clean, well laid out boat which should provide a new owner with enjoyable sailing from day one. This Hunter Horizon 273 has been personally photographed and viewed by Chris of Boatshed Falmouth. Click here for contact details. Has the 20hp Engine been fitted by Beta Marine ?